Feliz Bar & Grill, Heather & Kevin Smith, donated a check for $995.00 to Holy Cross Anglican School! 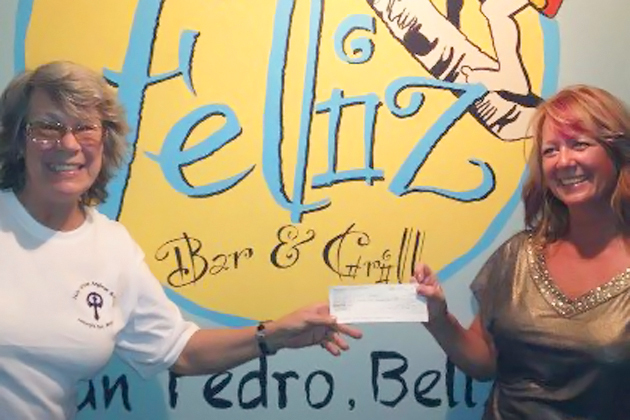 Feliz Bar & Grill donates funds raised from Wednesday night Bingo games every month. January was a fundraiser for our little Holy Cross School and February is fundraising for SAGA Society. “How very generous of Heather, Kevin and all the patrons who came out to play Bingo and show their support. We salute you!!! Thank you for all that you do.” – Linda Carter of Holy Cross Anglican School!